•	Direct river access, over 500m! 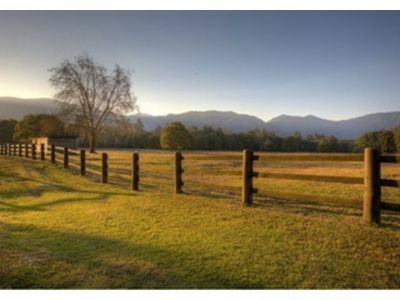 •	Fully fenced paddocks/stables/cattle yards. 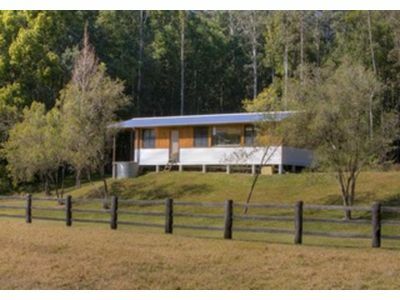 •	10 minutes to Bellingen Township. 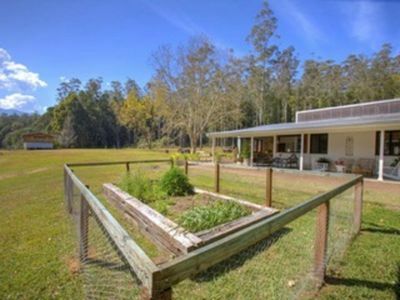 Sunshine, water and ideal pasture with a sprinkling of rainforest…. 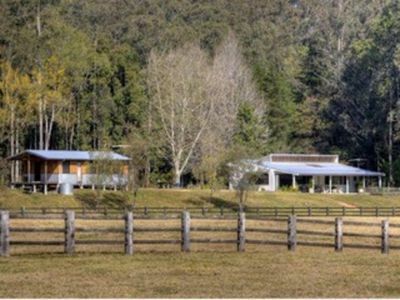 55 extraordinary acres on the edge of ‘The Promised Land’. 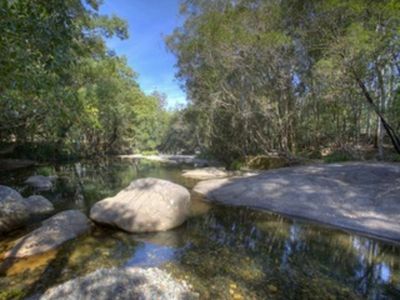 Over 500 meters of direct Never Never River is on your doorstep complete with some of the best swimming holes in this region. Gaze at spectacular World Heritage Rainforest covered mountains, watch the sun rise, watch the sunset…. and a trillion stars come to life…. This home was built with love. The open plan kitchen/dining and living area has high ceilings with expansive polished concrete floors creating a true sense of bringing the outside, in. The master bedroom is positioned at the southern end of the home. 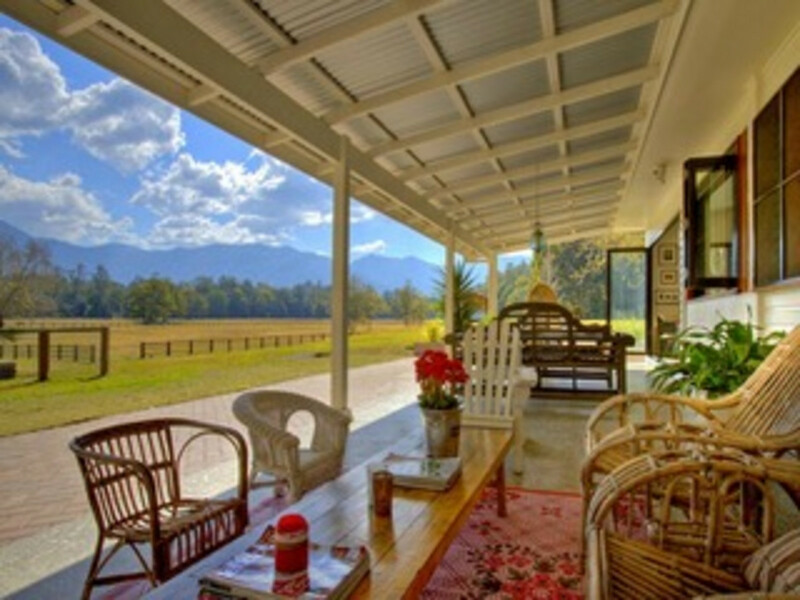 Doors open to the north-facing verandah. There are another two bedrooms, both spacious. The huge central bathroom is complete with both shower and bath. Polished concrete floors and high ceilings resonate with a modern country feel. You will spend a lot of your time on the huge undercover verandah enthralled by the myriad of birdlife and a vibrant sea of greens and blues constantly changing. Sit here with your favourite red, engage in lively conversation…. connect. A separate studio is located adjacent to the main house. 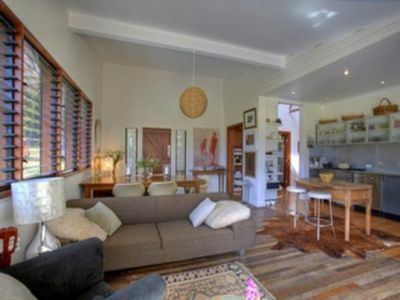 Ideal for friends or family sleepovers this area may have the potential to be converted to an income-generating asset. 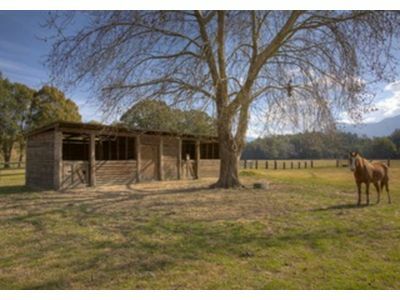 There is some shedding, vege gardens, cattle yards and stables. A bore ensures constant pristine water flow. 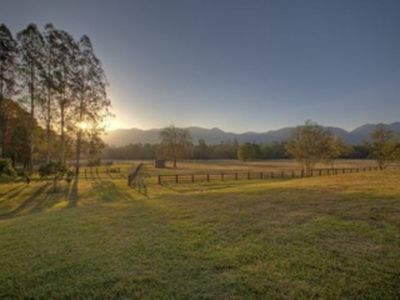 Bellingen Township is 10minutes down the road and enjoys excellent restaurants, boutique shopping, numerous schools and a large variety of festivals and events. In this lovely vibrant town you will experience a rare and true sense of community. We want to be straight up…. this is what the property was and could be again with some focus and dedication. The photos are real. The grass is now long, the house a little tired… great bones and an enthusiastic new owner, (YOU! ), would soon bring it up to its pristine best. Position, position, position!